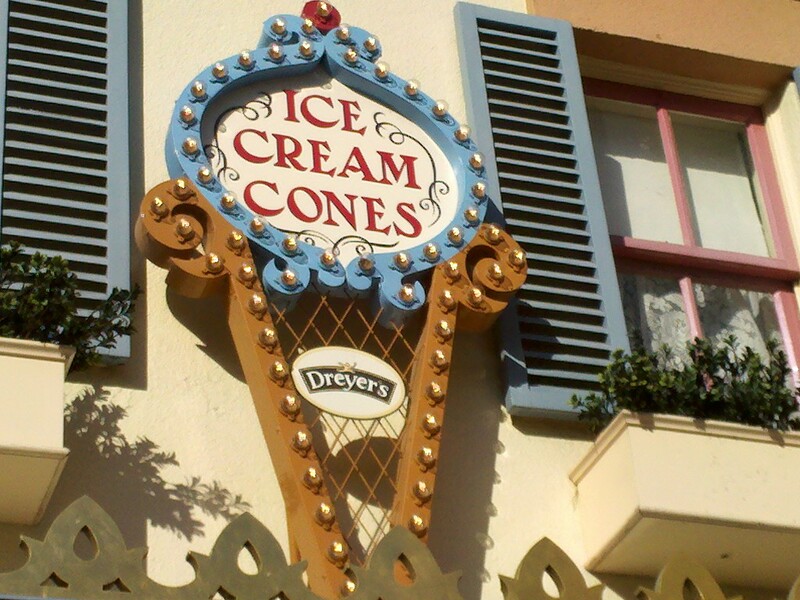 Disneyland's Main Street Cone Shop - More Ice Cream!!! Yes...more glorious ice cream!! I can not NOT have ice cream when I'm at Disneyland. There are so many places within Disneyland that serve ice cream and this happens to be one that I have never been to!! It's tucked away in a little alley off Main Street near the lockers. 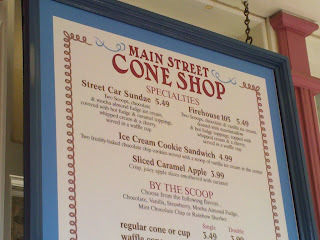 They have two types of sundaes and of course scoops are available, ice cream cookie sandwich and sliced caramel apple. 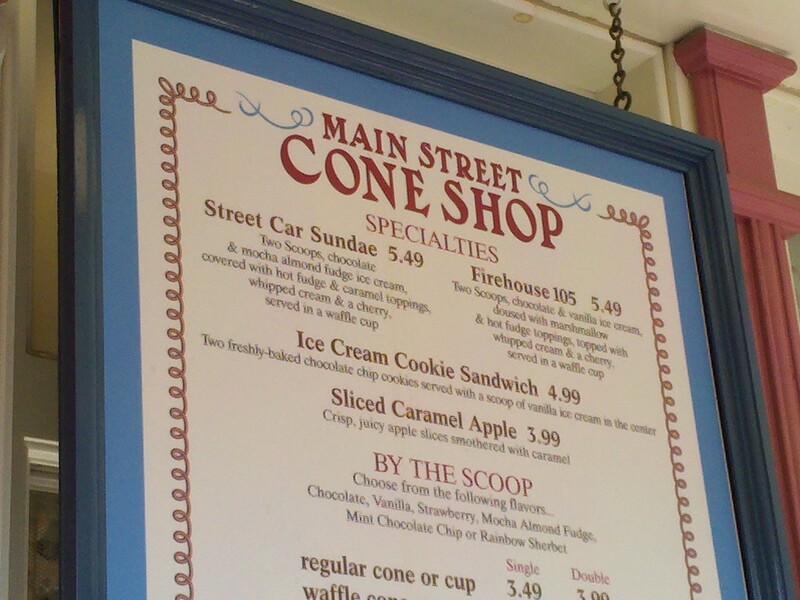 My sister and I got the Street Car sundae, even though the Firehouse 105 with the marshmallow topping sounded ever so tempting! You can see the two different pools of caramel (on the left) and fudge (on the right) in the waffle bowl. The chocolate ice cream and mocha almond fudge were so dense and not overly soft or melted. 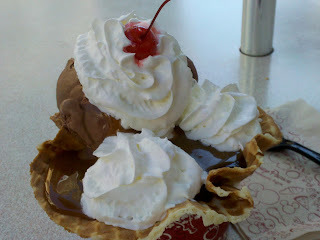 I completely enjoyed this sundae as did my sister Susie! I would definitely get it again. I might have to try the Firehouse 105 next time though. Thanks Doreen! You just saved our day at Dismeyland. The line at Gibson Girl was way too long. We found your blog and got great ice cream. This is Disneyland's best kept secret!